Arsenal will take a long trip to Russia to take on CSKA Moscow in the 2nd leg of the Europa League quarter-final. Arsenal won the 1st leg comprehensively with a 4-1 win at the Emirates. Ozil was in brilliant form and will be rearing to go again after being rested on the weekend. Lacazette and Ramsey both scored braces in the 1st leg and both will be vital to take Arsenal comfortably through to the semi-finals. 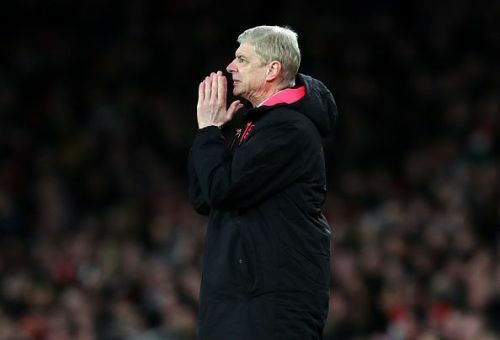 Wenger is expected to play a strong side in Russia after resting key players vs Southampton to ensure that there are no hiccups as the Europa League triumph remains the only way Arsenal could get back in the Champions League. 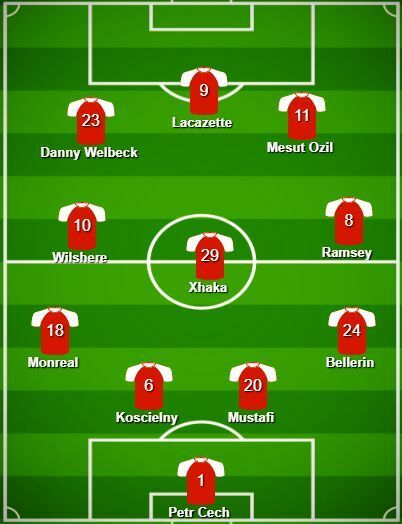 Wenger is expected to go in with a 4-3-3 as he has been doing recently. 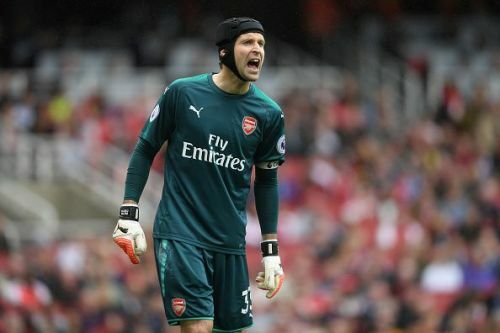 With David Ospina out for around three weeks, Cech is sure to start in goal. The veteran keeper had a good night between the sticks over the weekend and would be expected to repeat the same. 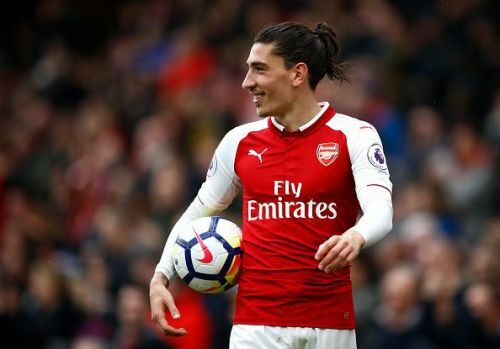 Bellerin is the first choice right-back and with no other genuine option in his position, he is expected to start in every game. The young Spaniard was subbed off in the 60th minute, to give him sufficient rest for this vital clash. Mustafi was poor last weekend against Southampton and his mistake even led to a goal. Mustafi has not lived up to the expectations and has made regular mistakes, but is still favoured by Wenger and will almost surely start in Russia. The Arsenal captain was given rest on Sunday and is expected to partner Mustafi at entre-back. 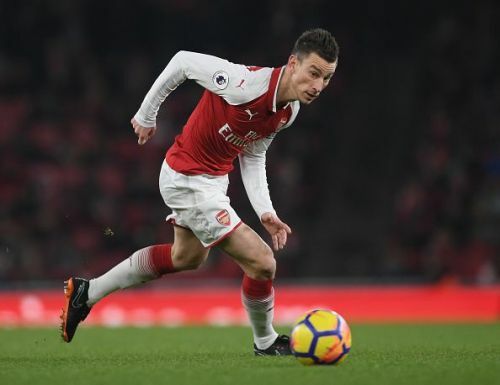 Koscielny has been consistent for Arsenal and is one of the mainstay's in the heart of defence. Monreal has pushed aside competition from Sead Kolasinac to make the left back position his own. Monreal has Wenger's confidence and is favoured to start the big matches unless there is an injury concern. The Swiss international has improved his game recently after a rather poor start to the campaign. Wenger has kept faith in him throughout and Xhaka has started to deliver to his potential. 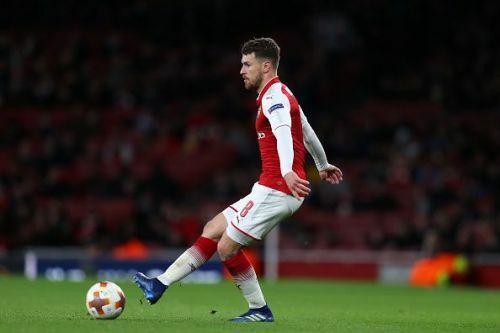 Ramsey was at his best in the 1st leg, scoring 2 goals. One of them was delightful chip over the keeper. The Welshman was given a day off and willl be drafted straight into the starting 11. With his contract expiring next summer, Ramsey will be eager to prove his potential. Super Jack was poor against the Saints after being brought on as a substitute. He too would like to impress the boss, with his contract due this summer and the contract talks not going as per planned. Wenger has always praised Wilshere and has faith in him. 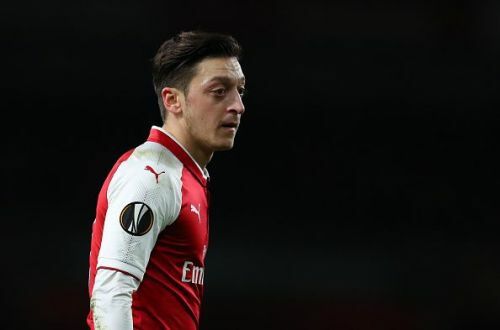 Ozil was at his instrumental best in the 1st leg at the Emirates providing 2 assists and earning a penalty. He regularly found pockets of space and found his team-mates with perfection. Fans would want to see the repeat of this performance, and after being rested in the Premier League, the German would once again love to mesmerize the crowd. With Mkhitaryan out for almost till the end of the season due to a knee injury, Welbeck is expected to step into his place after a match-winning performance against Southampton in a 3-2 win,with 2 goals and 1 assist. Lacazette looks to have hit form instantly after coming back from injury. Aubameyang awarded him a penalty in his first match after hs injury to boost his confidence and it seems to have made an impact. Lacazette got a brace last time out against the Russian opponents and will again lead the line for the Gunners.